The first three dan ranks represent what you get out of the arts. Fourth and above are all about what you give back. 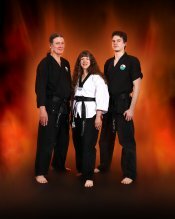 Jim and Karen Saxton are the head instructors at Coquille Martial Arts. They have been studying in the arts since 1994, shortly after enrolling their son, Dane, who teaches at their Coos Bay location, in American Freestyle Karate with Wolfe's Karate. The family has been competing since 1995 and have been teaching since 2000, when the Wolfe's moved to Medford as their only other option was to train under a blackbelt with the same amount of training. During the years that followed, they diligently searched for instructors to assist in their growth in Taekwondo, something the Wolfe's had been working toward. After working with a variety of WTF/Kukkiwon style instructors, they met Grandmaster Suggs. 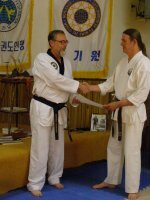 Jim and Karen recently earned their 5th degree black belts in TaeKwonDo Jidokwan, with the Korean Jidokwan association and are certified with the Kukkiwon, World TaeKwondo headquarters, working toward their 4th degree with that association. They earned their Hapkido blackbelts under the United Hapkido Federation and Grandmaster Ron Suggs, and their school is certified to teach hapkido under the UHF. Their other training includes ongoing work in both Tai Chi and Systema, as they believe a well rounded martial artist can better teach his/her style when they understand the mechanics of a variety of different styles. The blackbelts of Coquille Martial Arts have all trained for many years. Many of them arrived at Coquille Martial Arts having trained in another style, or under the Wolfes prior to the Saxtons. There are 10 active black belts, 1 active black belt candidate and 3 inactive black belts and 8 junior black belts who are currently inactive. Dane Saxton currently lives in North Bend, Oregon. 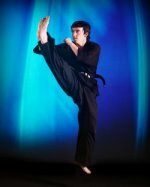 Dane is a fourth degree black belt from CMA and recently earned his 2nd dan with the Kukkiwon. An avid competitor, he has won Grand Champion Black Belt sparring in Coquille twice, at Chip Wright's Tournament once, and has placed first or second in many other tournaments since turning 18. 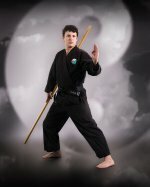 He started with the Wolfe's and earned his Jr Black Belt at age 11. He competed extensively from age 7. 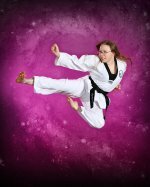 Nikki Keller earned her bachelor's degree from Ashland in literature and has moved back home to the delight of all of us at Coquille Martial Arts. 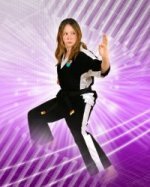 She is especially loved by the children of Coquille Martial Arts, and is an excellant tournament coach, especially in forms. She trained and competed with the Wolfe's from age 7, then took a break while attending Gymnastics Plus, returning to the Martial Arts with the Saxtons as a teen.She works in the tourism industry, but her dream job would either be library work or teaching martial arts. 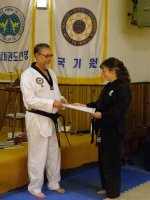 She is a second degree blackbelt with CMA and working toward her third, and recently earned her first dan with the Kukkiwon. Graduated from Coquille High School with the class of 2011 and earned his Eagle Scout the same year. 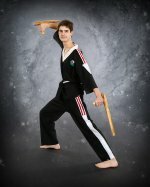 He successfully tested in August 2011 for both his second dan with Coquille Martial Arts and his Kukkiwon 1st dan. He started taking martial arts with the Wolfe's and transferred to Coquille Martial Arts after the Wolfes moved to Medford. Franklin returned from his mission in Arizona and has worked to further his martial arts education while working toward a career in security with job core before heading back to college. Max Underdown is a longtime student of Coquille Martial Arts, starting with the first group of Bandon Students. He earned his junior black belt in 2009 and completed his 1st dan Kukkiwon and with CMA in May of 2015. 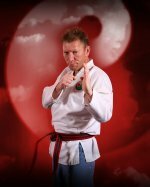 He is also active in theatre and competes with Coquille Martial Arts' team and also works as a caddy. Tasha Graduated from North High School, Eugene, with the class of 2011, Tasha now lives in Ashland and is working toward her bachelor's degree. 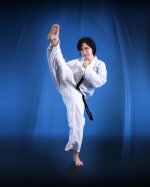 She started at Coquille Martial Arts when she was 11 and earned her first dan with both Coquille Martial Arts and the Kukkiwon in August 2011. Bill trained with the Saxtons at Wolfes before coming to Coquille Martial Arts where he earned his blackbelt with CMA. Prior to that he trained for many years in another style. Currently his job keeps him from being as active with the school as he would like. Jason Tree lives in Bandon where he is a small business owner and active in the business community, and local theatre. He holds the rank of recommended black and will become eligible to test for black belt the summer of 2015. He completed the sparring portion of the test in May of 2015. Peyton Simonds is a red belt at our Bandon studio, having started in Coquille in our pre-school program. He has a year of training before testing for his Jr Black belt. Black belts who are former students of Coquille Martial Arts. We wish to honor those who have earned a black belt in good standing with us, but who are not currently members of our school. Their hard work in achieving this rank is to be commended. It is our hope, that each of these outstanding individuals will find their way back into martial arts training. 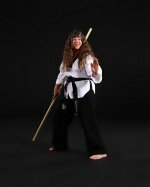 Devon started with Coquille Martial Arts at age 11. 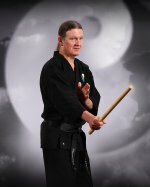 He recently earned his CMA and Kukkiwon blackbelts. He is a solid competitor and recently brought home a grand champion award from an away tournament. 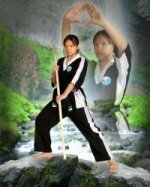 Tasha was our first Jr. black belt having earned her junior black in May of 2005, although she started taking Martial Arts with the Wolfes at age 3. 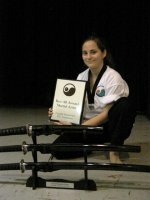 She recently earned her 1st dan while at Portland City College. 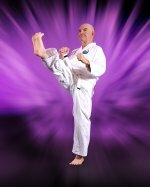 Howie trained with Coquille Martial Arts for two years, up until a few weeks before losing his battle with cancer. He had the heart and soul of a blackbelt and his presence was an inspiration to many. We have no doubt he would have made his goal of blackbelt and he has earned the right to have his picture on this page with our inactive blackbelts. We look forward to the time when these students return to achieve their adult rank of First dan. 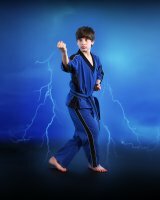 Luke has been training with Coquille Martial Arts for several years. He is a top competitor and has proven himself at a variety of tournament styles, attending USKA Nationals, Pacific Jewel Nationals and Olympic TKD style tournaments. He has brought home rgand champions in forms. He will be eligible to test for his Jr Black Belt at the end of 2015. Conor came to Coquille Martial Arts' Coos Bay facility as a high level student of American Freestyle Karate. He is a hard worker and loves to compete and has represented the school at Pacific Jewel Nationals. He and Luke recently had to do a forms run off for Grand Champion at an away tournament. 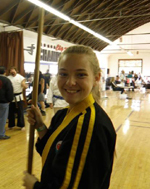 Brooklynn was a top competitor and student who transferred to Coquille Martial Arts. A childhood injury has her sidelined temporarily, but she is looking forward to returning to training once she has completed PT. Jacob, "Jack, " is a long time student from Bandon, a year younger than Brooklynn, he earned his Jr blackbelt before moving with his family to the Boston area. 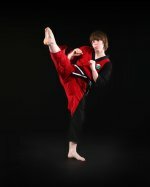 JJ England is a student at Bandon High School and earned his junior black belt in 2011. He graduated from Bandon High in 2015. Mariah has always been a top competitor and all around martial artist. She started class when she was 6 and trained for 7 years. Christian graduated from Bandon High School. 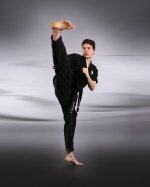 He earned his Jr Black Belt belt in 2010 and studied at the school's facility in Bandon. He started taking classes with the Saxton in Coquille, before they opened the Bandon school. Those not listed are not considered to be Black Belts of our school for some reason pertaining to their conduct in the arts, misuing the arts, or for other reasons based on integrity. If you feel you have been omitted in error, please contact us, so that we may remedy this situation. Only 1 out of 1000 or more students who start taking martial arts classes make it all the way to blackbelt. It is quite an honor. Want to see your picture on this page? Schedule your free intro to any class now and begin your journey!